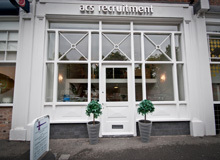 We are looking for a Solicitor/Legal Executive for our clients firm in Cheshire. • Be able to manage a caseload consisting of both pre-litigated and post-litigated RTA Fast Track files with a proven track record in litigation. • Work to tight deadlines and manages their time effectively and works as part of a busy team.